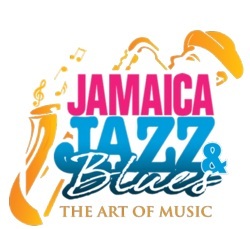 Tickets for the most highly anticipated show in the region, the JAMAICA Jazz and Blues Festival – The Art of Music, are now available for purchase online as well as at select locations in Kingston and Montego Bay. Patrons can purchase tickets for the 2012 mega event for either single nights, the weekend, or the entire season. Single night tickets grant entry to Thursday, Friday or Saturday night, while the weekend package provides patrons with access to Friday and Saturday nights. Season tickets grant access to all three nights of the stellar event. In tribute to the celebration of Jamaica’s 50th year of independence in 2012, general admission single night tickets for Thursday January 26 will be only US$50 while VIP tickets are priced at US$120. On Friday, general admission will be US$100 with VIP tickets at US $200. The final night of the show, Saturday, January 28, will see general admission at US$80 while VIP access can be attained for US$120. The two-day weekend pass can be had for US$175 general admission and US$315 VIP. The three-day season pass is priced at US$250 for general admission and US$430 for VIPs. Excitement about the Festival is already building and as “Jazz and Blues” fever grows, patrons are urged to get their tickets early, as prices will increase, as the event gets closer. With the addition of the added convenience of buying tickets online, patrons will find that gaining entry to the event is now that much easier. However, tickets bought online will be gained at a slightly higher price as there is a 8% handling fee for online purchases. Tickets are also currently available at the Wyndham Kingston Hotel and Pampi’s Blue Note Jazz Bar in Montego Bay. Organisers will soon announce the full complement of island wide ticket outlets. As the JAMAICA Jazz and Blues Festival – The Art of Music once again transforms the Trelawny Stadium into a musical milieu of fun and excitement, VIP tickets will grant access closer to the stage, with limited seating provided on a first come basis. Patrons with general admission tickets will have access to general areas of the Festival grounds. While no seating is provided in this area, patrons can rest their legs during the event by taking advantage of the unreserved seating area of the stands. The 16th staging of the JAMAICA Jazz and Blues Festival – The Art of Music will feature a world class line-up including multi award winning songstress Celine Dion who has sold over 200 million albums worldwide. The Temptations Review featuring Dennis Edwards, Jamaica’s very own golden-voiced Richie Stephens and Germany’s Gentleman are also booked for the 2012 edition. Corporate support for the Festival has been favourable with the Jamaica Tourist Board, Iberostar and Flow returning along with RIU, Half Moon Resorts, Hilton Rose Hall, CVM TV (the official television partner), The Gleaner (the official print partner), Scotiabank, Pure Country and Loyal Haylett Management Services. The three night event will also see performances from Canada’s reigning R&B queen Jully Black, jazz sensation Nicole Henry and Trinidad and Tobago’s soca queen Destra.